Whether you believe in the afterlife or not, it can't be denied that Baltimore has some great ghost stories. Maryland—and Baltimore in particular—has a lot of history, and along with that comes many spooky sightings. 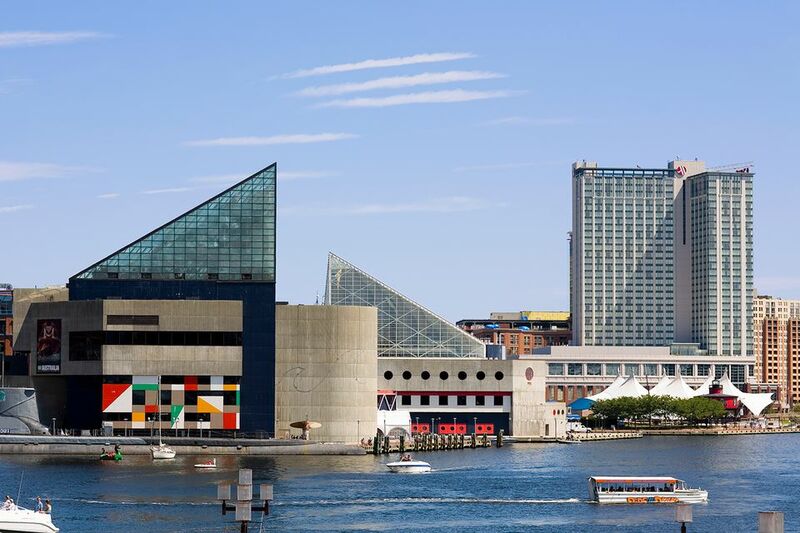 If you're into scary experiences, explore some of the most haunted places in Baltimore. Sign up for a ghost tour, or go on a hunt of your own. It's no surprise that this military fort comes with its own collection of ghost stories. Park rangers have reported hearing footsteps and having lights turned on after they've turned them off. The most famous account is of a marching guard ghost who patrols along the outer battery of the fort. Several people, including rangers and visitors, have said they spotted the ghost of an African American soldier dressed in military uniform and soldiering a rifle. Some even thought they saw a historical re-enactor, only to later find out the guard isn't part of the program. The ghost was featured in an episode of Haunted History on the History Channel. Several people have reportedly heard spooky noises and seen strange figures while on board this historic ship, which was in service from 1854 through World War II. In one story, a priest visiting the site wanted to take a tour, but couldn't find any guides, so he walked around by himself. On his self-guided tour, he met a guide who told him all about the ship's history; however, when speaking with staff later, he learned that there were no guides on the ship at that time and also that no one fit the description of the person he described. Today, the U.S.S. Constellation is docked in Baltimore's Inner Harbor, and you can take a tour of your own to see if you feel anything out of the ordinary. Ghosts are rumored to walk the streets and inhabit bars, homes, and former bordellos in this waterfront neighborhood. Stories of sailors from faraway lands who went mysteriously missing are common, as are tales of hauntings from a mass grave of yellow fever victims below what is now the neighborhood's main square. There are so many ghost stories circulating Fells Point that local guides give paranormal tours of the area. This bar in the Station North Arts & Entertainment District is reportedly haunted by a fun-loving ghost nicknamed Frenchie. Seen by both staff and patrons in his black-and-white wait staff uniform, Frenchie is said to have worked as a double agent who pretended to work for Nazi Germany while really providing service to the Allies during World War II. As the story goes, Frenchie immigrated to Baltimore and became a waiter who lived in an apartment above Club Charles. His ghost is said to make appearances at the bar—usually after hours—and to shuffle around bottles and glasses. In addition to ghostly sightings, Club Charles is also a place visitors might be able to spot John Waters. The graveyard that is now the site of Westminster Hall and Burying Ground was first established in 1786. Many important and influential people have been buried here, including those who fought in the American Revolutionary War and the War of 1812. It is also famous for being the final resting place of Edgar Allan Poe. Poe was buried here in October of 1849 after his mysterious death. Each year, the date of his birth and death are celebrated at his gravesite. Paranormal investigators discussed a possible Poe haunting at Westminster in an episode of Creepy Canada.